Three rainy seasons in a row without substantial rains have led to a humanitarian crisis in Ethiopia. Crops have failed, cattle have died and millions of people across the country are facing food and water shortages. 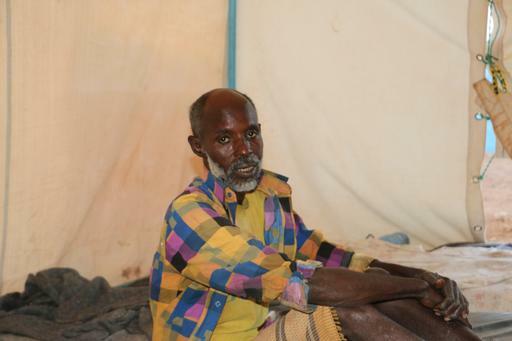 People in the Somali region are particularly affected by acute malnutrition crisis and disease outbreaks. The drought in the region has contributed to the malnutrition crisis. In the Somali region’s Doolo zone, MSF is witnessing the highest numbers of young children with severe acute malnutrition it has registered since it started working there 10 years ago. The crisis is further burdening a population that has been affected by acute watery diarrhoea and outbreaks of other diseases such as measles. MSF is running inpatient and outpatient nutritional therapeutic centres to help address the nutrition crisis. In 2017, teams have so far treated 12,284 children under the age of five with severe malnutrition in MSF’s emergency project in the Somali region. Other parts of the region are affected by the current crisis and it is proving difficult for the humanitarian community to meet the needs appropriately. Humanitarian aid, especially food distributions, are often not reaching those who need it. MSF is also participating in the fight against acute watery diarrhoea and has treated 15,893 cases this year. Teams continue to engage in case management for measles patients and are now also treating patients with acute jaundice. Beyond malnutrition and acute watery diahorrea, other outbreaks are imminent in the Somali region and the risk is increasing with rains expected to start in mid-October. Emergency preparedness needs to be scaled up to avoid a repeat of the past six months. Humanitarian organisations need to adjust their models of implementation to meet the current health, nutrition, water and food needs to reduce disease rates and death among the population. This requires the deployment of more staff and supplies to the hardest-hit zones and the provision of a comprehensive, robust and hands-on response to the population. Donors need to be flexible in order to adjust programme funding to the needs on the ground. Changes in addressing emergencies and outbreaks are also necessary.